Once the days begin to shorten and darkness pervades our evenings and mornings, it’s common to hear people express their desire to stay home more often. Absence of natural sunlight, combined with the lowered energy that accompanies our lack of drive to be out and about zaps us of the extra umpf we feel during other seasons. Somewhere in our American story, we learned that these things are inherently bad. Our lack of sunshiney disposition amid the grayer days became viewed as problematic rather than as a human extension of the world’s progression through the seasons. Likely, this negative connotation is related to the lessened productivity that accompanies our desire to stay in and cozy up. However, when we remove the pressure to produce and succeed that is linked to the American ethos of effectiveness and prosperity we begin to see that maybe the winter doldrums serve a purpose. When you use nature and the body look at the patterns of life and growth, you will notice these moments of sleep and wakefulness, energy and rest. If we consider winter as the sleepy season, then we can appreciate what is happening beneath the surface of our quiet times at home. Perhaps we can replace the negatively associated words like “lazy” or “low energy” or “depressed” with ones that indicate what is happening in our minds, bodies and souls. Consider the body’s natural wiring for sleep: the brain and body must sort the intake of each day and decide what to keep for future use and what to flush out of the system. This process is what triggers growth and healing, and it’s only in “shut down” mode that the brain and body can be fully effective at doing it. This happens when we sleep long enough to achieve the full benefits of multiple sleep cycles. The longer we sleep, the more REM (rapid eye movement) cycles we get through and the longer each REM cycle lasts. Think about sleep as the growth that happens beneath the surface of a plant in the colder months. A growing body of research is reframing depression from a pathology to a framework that finds healing and health within it. The rumination and low energy for external things that are hallmarks of depression is now seen as the body and mind’s way of turning inward to focus maximum energy on healing mental and emotional wounds. The body does not allow energy for non-essential activities as it needs it all for healing and problem solving. Once the hurt is healed or the problem is solved, depression begins to alleviate. This explains the episodic nature of depression and the unexplainable spontaneous recovery people experience. Looking at winter as a season of inner reflection as opposed to outward results and depression (especially “winter depression”) as a restorative time shifts how we feel about both. It could be that an effective winter season includes pervasive moments of internal reflection that don’t involve a visible result. It might be that the “work” of winter and depression, is a drawing inward to understand the true self before attempting to shine that outward to the world in the sunnier seasons. *****Certainly there are dangers from dipping too far below the surface; symptoms of depression such as lethargy, apathy and social isolation can become problematic and prevent individuals from enjoying day-to-day life. 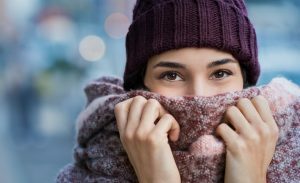 We don’t advocate that you ignore symptoms, but rather lovingly treat your body and mind’s response to the season as asking for a chance to do some inner work, even with the help of a trained therapist or mental health professional. Call our office or the crisis hotline (888.936.7116) if you have any concern that your symptoms are beyond what you can cope with in healthy ways.